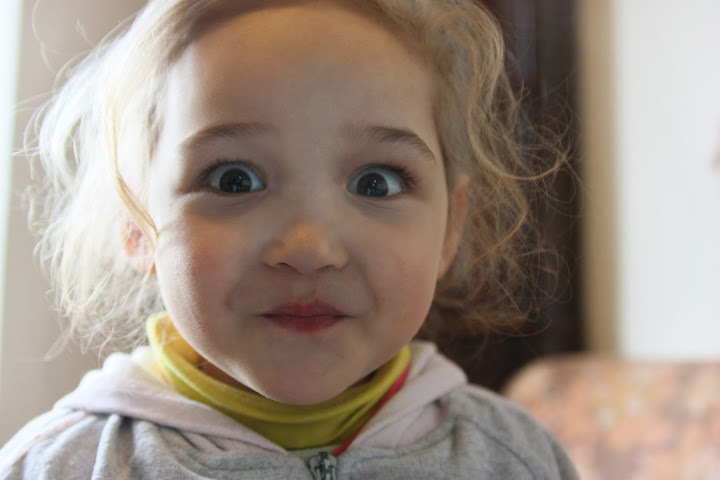 Wow... can it really be true that we are leaving Moldova exactly four weeks from today? Wasn't it just yesterday that I was posting we still had three months left? And wasn't it just a few months ago that we came here? Goodness... we knew that the time would fly by, but it REALLY has! As I've already said, leaving here is extremely bittersweet for us. I thought I'd do something a little more lighthearted and give you some things that I am going to miss about Moldova, and some things that I am not going to miss about Moldova. 1. All of the amazing people we've had the privilege to get to know and love (the pictures I've linked to are not at all an exhaustive list... just some of the pictures I already had online). 2. Farm-fresh food from the market. 3. Learning about a different culture. 4. Hanging clothes on the line when it's pretty. 5. Having 14 girls right outside our door who all love to play with Jude. 6. The simplicity of life in the village. 7. Speaking and singing in Romanian. 1. Being so far away from our friends and family in America. 2. Having to go to two grocery stores and the market to get everything we need. 3. Constantly getting reprimanded for not having Jude dressed warmly enough. 4. Hanging clothes on the line when it's cold and/or raining. 5. Only having 220 square feet to live in. 7. Going to our tiny church in the winter (where there is little heat, no indoor plumbing, and no place for wild boys). So... there you go. Overall, the things I will miss far outweigh the things I won't miss, and I hope I've adequately communicated to you by now how much I'm going to miss this place and these people. I will be savoring every day between now and June 7th. Wow...four weeks left. Enjoy your time. I am sure it will have many great memories for the kids! !